Kick back and relax….you won’t want to leave…. 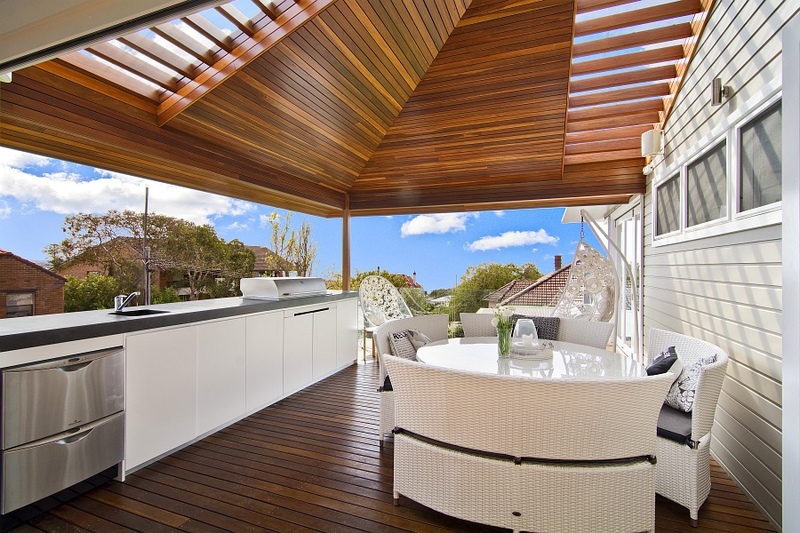 Located on the sought after Eastern Hill, this newly renovated & extended home is minutes walk to five harbour side and surf beaches, North Head National park, marine reserves, ocean pools and playgrounds – not to mention Manly’s amazing array of restaurants, cafes, nightlife & shopping. 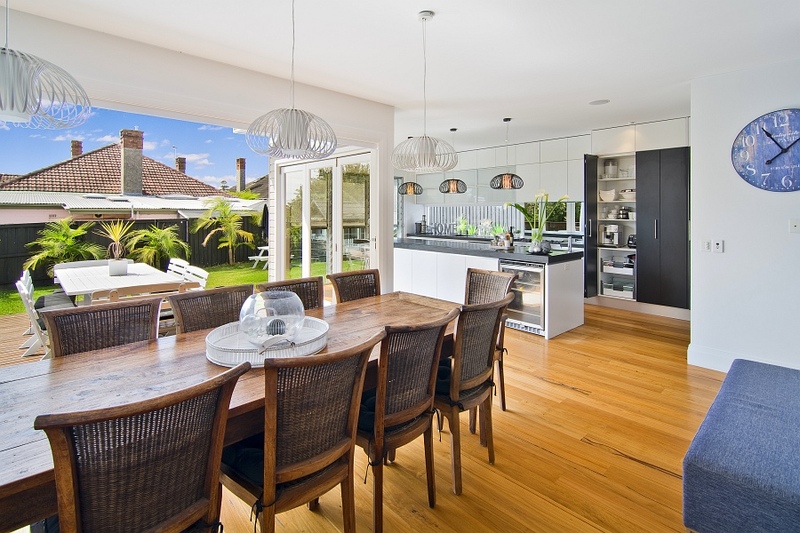 This executive beach house is ideal for families/children (or not!) ……. The 5 bedroom, 3.5 bathroom home can accommodate 10 adults, or large families with up to 6 children able to sleep in one of the rooms if necessary. 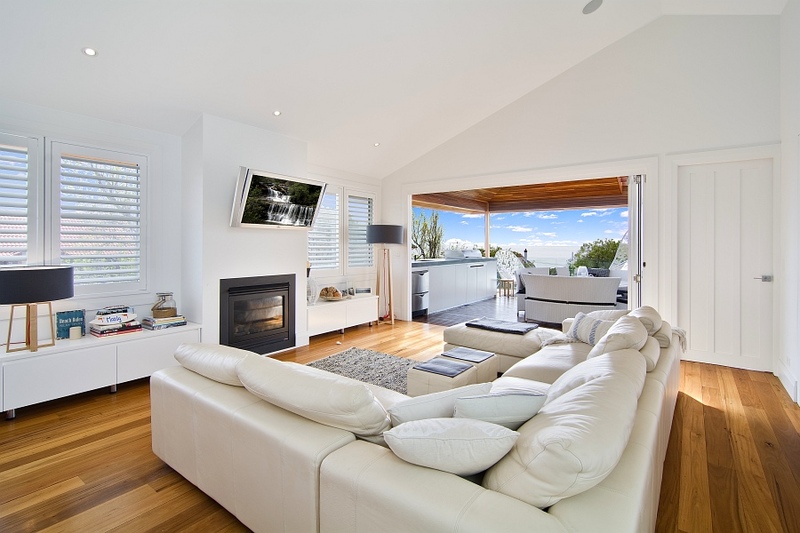 Open plan living is incorporated over 2 levels with views across the Tasman sea, north along the coastline, and across the Harbour. The upper deck boasts an outdoor kitchen complete with BBQ, dishwasher, bar fridge and seating for 8-12. The lower deck becomes part of the indoor space via huge bifold doors and flows to a level, child safe lawn & paved playing area, complete with trampoline, basketball ring & cubby house. A huge gas BBQ can be found here along with outdoor seating for 12 and an adjustable umbrella for shade. From the king bed master retreat, watch a movie from the freestanding bath or just enjoy the coastline views. The huge rain shower is the ultimate way to wash off salt water from a day at the beach …. with room for two. Rental: $1,800 per night .